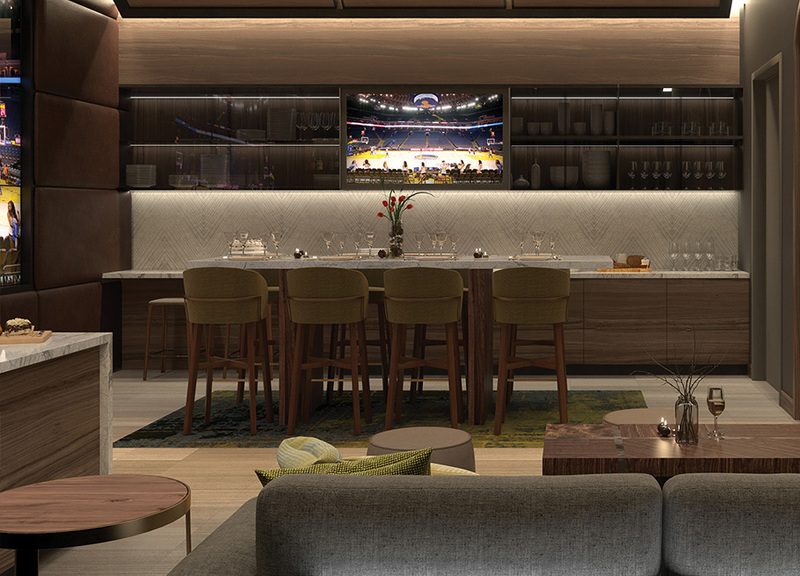 Our Courtside Lounges display design and palette elements that reflect the luxury and comfort of our local wine country, Napa Valley. 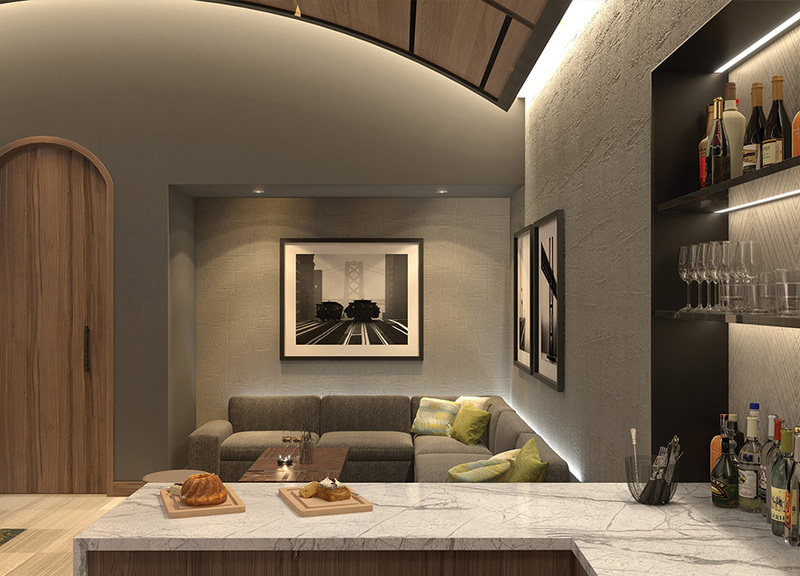 Inspired by the interior of a wine barrel, guests are greeted by a dramatic vaulted ceiling barrel and an oversized media wall that gives you a clear picture into the arena bowl. Experience incredible hospitality that’s just steps away from elite seats for both basketball and entertainment events. Order your favorite drinks from a personal butler within your private suite. Enjoy a superior dining experience with a complete harvest table. 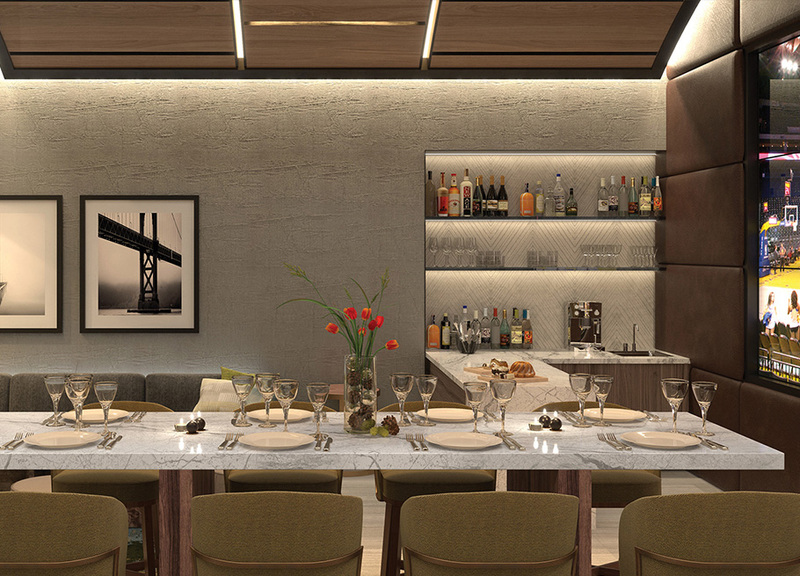 Experience luxurious amenities in a comfortable yet upscale hospitality space. 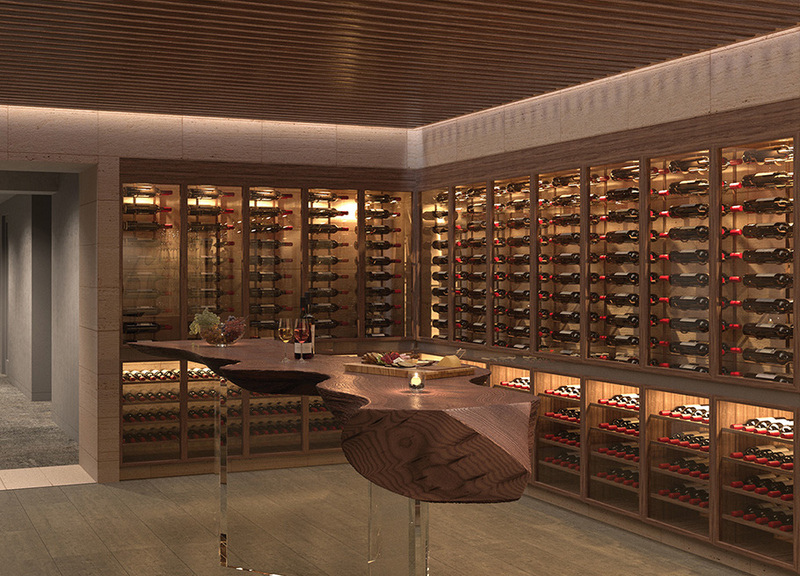 Store your personal collection and mingle with your guests in our picturesque shared wine vault.